The Merton Legacy Trust was established on November 14, 1967 to oversee Merton’s literary estate, to arrange all copyright matters, and to take responsibility for future publication of Merton’s work, with all income from his writings going to the Abbey of Gethsemani; the Trust also establishes policies regarding the collection and use of archival materials at the Thomas Merton Center at Bellarmine University in Louisville and is generally charged with promoting public interest in Merton’s work. The original trustees were Merton’s friend and longtime agent Naomi Burton Stone, his friend and publisher James Laughlin, founder of New Directions, and Mrs. O’Callaghan, a local friend of Merton and of the monastery. When Mrs. Stone retired, her place was taken by Mr. Giroux, a Columbia classmate of Merton and editor of Merton’s autobiography The Seven Storey Mountain and numerous subsequent Merton works. At the death of Mr. Laughlin in 1997, Anne McCormick, longtime secretary of the Trust, became a trustee. 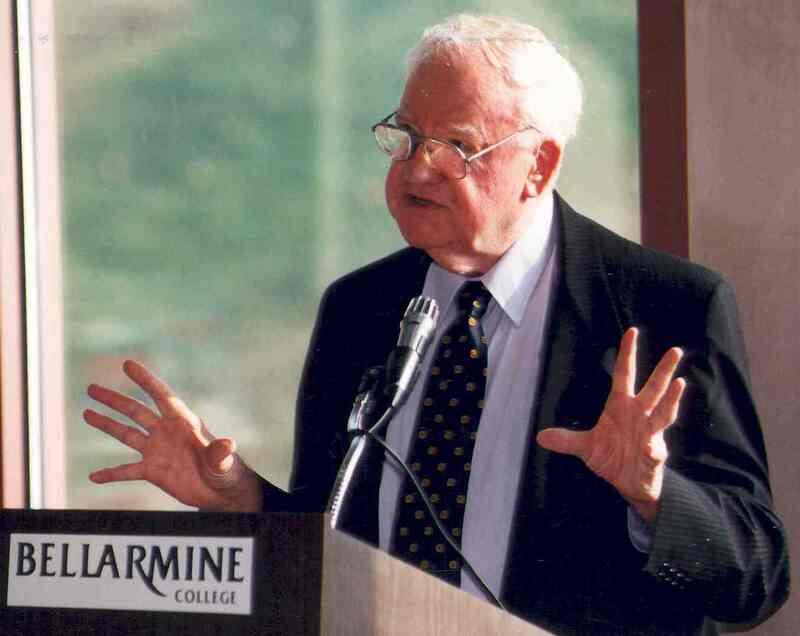 Thomasine “Tommie” O’Callaghan, close friend of Thomas Merton and one of the three founding members of the Thomas Merton Legacy Trust, died December 26, 2014. She was born November 14, 1931 in Ashland, KY, daughter of Edna Yates Cadden and Dr. Edward R. Cadden. She graduated from Nazareth High School in 1949 and Manhattanville College of the Sacred Heart, Purchase, NY, where she was taught by Daniel Walsh, in 1953. In 1954 she married Frank O’Callaghan, who died in January, 2011 after a marriage of 56 years. Together they raised six daughters and a son. She served as a trustee for the Merton Legacy Trust from its inception in November, 1967 until she became trustee emeritus in September, 2009. She was instrumental in the development of the Thomas Merton Center at Bellarmine University and frequently hosted visiting Merton friends and scholars at her home. She also co-founded the Thomas Merton Center Foundation and was a board member of the Merton Institute for Contemplative Living. She was director of advertising for Louisville Today Magazine and later she started O’Callaghan’s Catering and Restaurant. She was a member of the Louisville Rotary Club and worked with the Louisville Ballet, the Louisville Orchestra, Meals on Wheels, AIDS fundraising and Vietnamese and Kosovar refugees. In 2000, she was named as a Woman of Distinction by the Center for Women and Families. She was honored by a Merton Foundation “Tribute to Tommie O’Callaghan – Shining Like the Sun” in 2004. She is survived by her children, 24 grandchildren and one great-grandson. Her funeral mass at St. Frances of Rome Catholic Church was followed by burial at The Abbey of Gethsemani. Effective immediately the Abbey of Gethsemani and the Merton Legacy Trust announce and have accepted the resignation of Thomasine O’Callaghan as a Trustee of the Merton Legacy Trust. She will assume the role of Trustee Emeritus. Tommie was one of the original Trustees named by Thomas Merton and since 1968 has worked tirelessly in that capacity, devoted to the cause of the Merton Legacy, and given herself fully to helping establish the Merton Center at Bellarmine University. 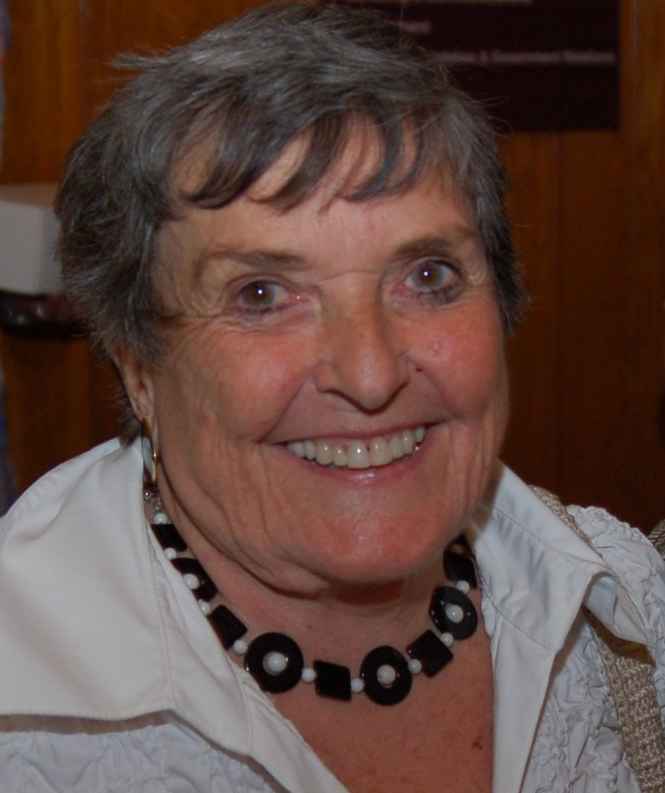 Mary R. Somerville of Louisville will take her place as a Merton Legacy Trustee, joining Peggy Fox and Anne McCormick. Ms. Somerville was born and grew up in Birmingham, Alabama. She holds a B.A in English with Honors in Writing and Phi Beta Kappa at the University of North Carolina, an M.A. in English at the University of Colorado, and an M.L.S. at the University of Oklahoma. Her leadership in the international arena has included speaking and consulting with the U.S Information Service and the State Department in South Africa and Brazil. She has also served as President of the American Library Association, the world’s oldest and largest library association. As President she established an Emerging Leaders Institute, represented ALA at IFLA in China, and advocated for libraries and children’s services through national media, including the Today Show. Prior to that post she was President of the Association for Library Service to Children, a division of the ALA, traveling to the former Soviet Union and participating in a Soviet-American symposium on public library services to children . Ms. Somerville was also Library Director in the Miami-Dade Public Library in Florida, serving one of the nation’s ten largest public library populations. Her Thomas Merton experience includes Chairing the Archival Committee for the Merton Foundation (now the Merton Institute for Contemplative Living), acting as the Treasurer for the International Thomas Merton Society , current Coordinator of the Louisville ITMS Chapter, and is now working as the Chair for the 2010 Retreat for Daggy and other Merton Scholars. at the Abbey of Gethsemani in May 2010. Robert Giroux, Columbia classmate of Thomas Merton and editor of his autobiography The Seven Storey Mountain and numerous subsequent Merton works, died Friday, September 5, 2008 in Tinton Falls, NJ, at the age of 94. Born April 8, 1914 in Jersey City, the son of Arthur J. and Katharine Lyons Giroux, Robert Giroux attended St. Aloysius School and Regis High School in New York City. At Columbia University he edited The Columbia Review and became friends with Merton, the poet John Berryman and other future literary figures. After graduating from Columbia in 1936, he joined the CBS public relations department for four years, and from 1940 until 1955, with time out for service in the Second World War, he worked for the publishing firm Harcourt, Brace, becoming executive editor in 1948. In 1955 he moved to Farrar, Straus and Cudahy, becoming a partner in 1964 when the publishing firm’s name became Farrar, Straus and Giroux, as it still is today; he became chairman of the company in 1973. Giroux is considered one of the most distinguished editors and publishers of the twentieth century. He edited works by ten Nobel Prize winners, including Hermann Hesse, T. S. Eliot, Pablo Neruda, Isaac Bashevis Singer, Derek Walcott, William Golding and Seamus Heaney, as well as five volumes that won the Pulitzer Prize and ten National Book Award winners. Among his many authors were Berryman, Elizabeth Bishop, E. M. Forster, Robert Lowell, Bernard Malamud, Flannery O’Connor, Walker Percy and Eudora Welty. He was the author of three books: The Education of an Editor, the Bowker lecture of 1981; The Book Known as Q, a study of Shakespeare’s sonnets (1982); and A Deed of Death, the story of an unsolved Hollywood murder (1990), as well as numerous introductions, articles and reviews. From 1982 through 2007 Giroux served as a Trustee of the Thomas Merton Legacy Trust, becoming Trustee Emeritus in 2008. In 1987 he received the Ivan Sandrof Award from the National Book Critics Circle for his “distinguished contribution to the enhancement of American literary and critical standards.” He was also awarded the Alexander Hamilton Medal from Columbia University and the Campion Award from America magazine, and received numerous honorary degrees, including a Doctorate of Humane Letters from Bellarmine University in 2003. Abbot Damien Thompson, from the Abbey of Gethsemani, has announced the following changes in the makeup of the Thomas Merton Legacy Trust. Robert Giroux has resigned his position as an active member of the three-person Board of Trustees to become a Trustee Emeritus and a Consultant to the Trust. Peggy L. Fox will assume the role of the third Trustee, joining Thomasine O’Callaghan and Anne McCormick who remain. Ms.Fox is currently President and Publisher of New Directions Publishing Corporation, the legendary avant-garde firm founded by James Laughlin, Thomas Merton’s friend, the publisher of his poetry, and one of the original Trustees of the Thomas Merton Legacy Trust. Ms.Fox, who came to New Directions in 1975, was previously Senior Editor as well as Director of Foreign Rights and Manager of Contracts and Copyrights.She became Vice-President in 1992 and has been handling the day-to-day operations of the press since that time, becoming President and Publisher in 2004. From a Lutheran family, Ms.Fox was born in Cincinnati, Ohio, but grew up near Gettysburg, Pennsylvania. A National Merit Scholar, she earned a B.A. in English at Ohio’s Wittenberg University and an M.A. in English at the University of Pennsylvania. She was teaching part-time at Brooklyn College while finishing her dissertation when a summer job at New Directions changed her career plans. She now lives in Piermont, NY with her husband Ian MacNiven (Professor Emeritus of Humanities, SUNY/Maritime College) who is writing the authorized biography of James Laughlin.